In rare instances, the secondary structure of RNA is a double helix. Ribosomes are composed of multiple RNA chains. 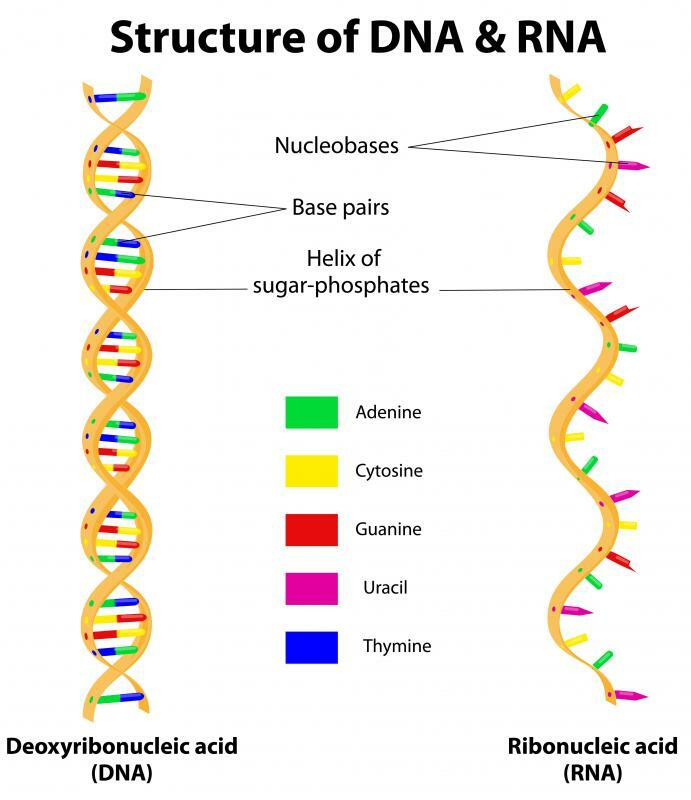 There are multiple levels of structure in ribonucleic acid (RNA), which are described as primary structure, secondary structure, tertiary structure, and quaternary structure. The primary structure of RNA refers to its sequence of genetic information units, called nucleotides. Its secondary structure is composed of the pairs formed when nucleotides in the sequence bind to each other. Tertiary structure is more complex still, encompassing the interactions between regions of the secondary structure and throughout the entire molecule. Quaternary structure applies only when multiple chains of RNA interact, and is any interactions or structural changes that occur when these chains come together. 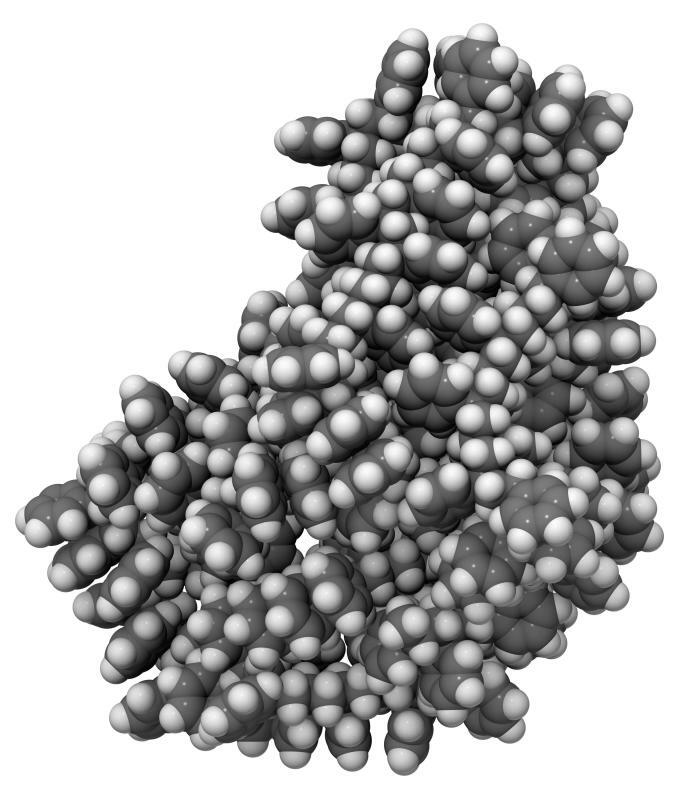 The primary structure of RNA is usually composed a single strand of nucleotides. Four types of nucleotides can be found in this strand, called adenine (A), cytosine (C), guanine (G), and uracil (U). Many nucleotides are modified in RNA, adding or subtracting atoms to or from the original nucleotides to change their properties. Hundreds of different nucleotide modifications exist, and their effects vary depending on the RNA molecule type, the species in which the modification occurs, and the environment in which the modification is made. Most of these nucleotide modifications have standard descriptive codes, as the nucleotides do, but they are generally not as well known. RNA secondary structure and deoxyribonucleic acid (DNA) double helices form in a similar way, where nucleotides bind together into base pairs, giving the molecule an overall structure. There are significant differences in the way RNA secondary structure is formed, versus DNA double helices. In both RNA and DNA, cytosine binds to guanine, but adenine binds to uracil, not thymine, in RNA. 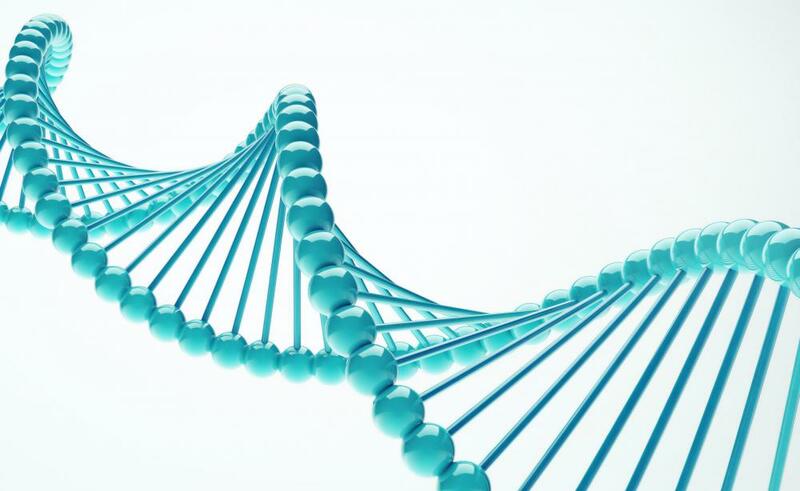 The secondary structure of RNA is rarely a double helix; it forms a variety of specific loops, bulges, and helix types that are aligned very differently than what is seen in DNA. RNA secondary structure in general is more complicated, although not necessarily less ordered, than DNA double helices. Tertiary structure of RNA allows the molecule to fold into its fully functional conformation. Certain RNA molecules, by virtue of their tertiary structure, have specific functions. These non-coding RNA (ncRNA) molecules can serve many purposes, and the discovery of these biological applications has been the subject of multiple Nobel prizes. One class of ncRNA, called ribozymes, are RNA enzymes that can catalyze biochemical reactions just like protein enzymes do. Another class, called riboswitches, controls gene expression by switching genes on and off based on its environment. The quaternary structure of RNA comes into play within certain macromolecules like the ribosome, which builds proteins in the cell. Ribosomes are composed of multiple RNA chains, and the interactions between these chains must be precise and tightly regulated for the ribosome to function properly. In order for RNA chains to have quaternary structure, they must come together to form a new conglomerate structure, not just interact and then separate again. Quaternary structure forms most slowly of all RNA structure levels, and usually the most complex. What Is a Transfer RNA?